Today in Apple history: Apple opens its first store outside U.S.
Apple's first non-U.S. Apple Store was located in Tokyo, Japan. 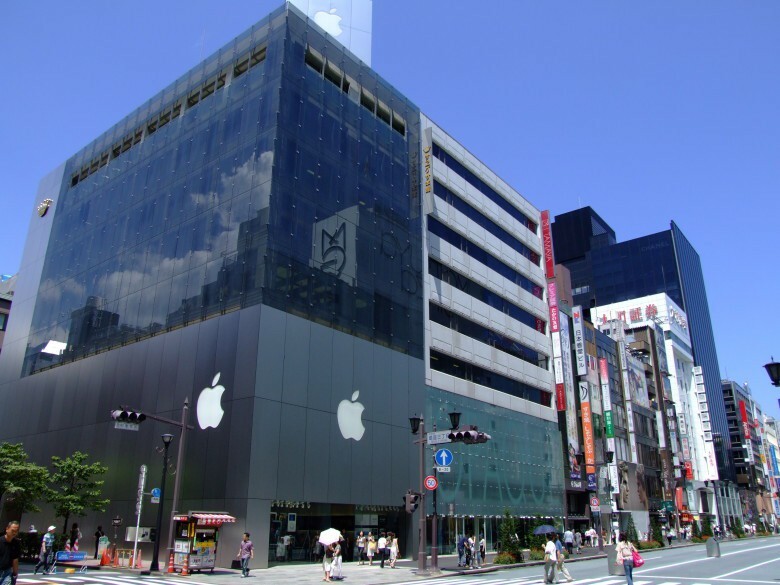 November 30, 2003: Apple expands its retail chain outside the United States, opening its 73rd Apple Store in Tokyo’s trendy Ginza shopping district. On opening day, thousands of Apple fans — possibly the biggest queue in Apple history — line up around the block in the rain to gain early access to the store, which offers five full floors of Apple product goodness. Steve Jobs does not show up for the opening. However, shoppers hear a welcoming speech from Eiko Harada, president of Apple Japan. The location of the Japanese store made clear that Apple wasn’t just a tech company, but a fashion company, too. While that seems obvious now, it certainly didn’t in 2003. To cement this notion, Apple skipped Tokyo’s famous electronics district Akihabara in favor of glitzy Ginza. That put Apple in the immediate vicinity of fashion brands like Dior, Gucci, Louis Vuitton, Prada and Cartier. One person who queued up for the opening of the Ginza Apple Store likened it to the opening of Tokyo Disneyland: a fascinating blend of Japanese culture and pure Americana. As had become customary for an Apple store opening in the United States, the first visitors to Apple Store Ginza received a T-shirt to commemorate the event. In this case, the larger-than-normal queue meant extending the giveaway from the typical first 1,000 visitors to the first 2,500. The Apple Store Ginza also offered a Grand Opening Sweepstakes. One lucky winner took home a 15-inch iMac with Combo Drive, a Canon DV camcorder, a digital camera and a printer. Both Steve Jobs and Jony Ive admired Japan very much, particularly when it came to Japanese designers’ minimalist aesthetics. Still, Apple had a mixed history when it came to Japan. Reportedly, the U.S. Department of Commerce once published a manual using Apple’s early attempts to crack the Japanese market as a case study of how not to do business in the country. By the time Apple opened its Ginza store, however, things had changed. PCs had become far more widespread in the country (something that happened later than in the United States). Meanwhile, generational shifts made Apple cool with younger customers drawn to the company’s “Designed in California” aura. Today, Japan continues to be a stronghold for Apple. Despite early predictions that the iPhone wouldn’t succeed in the country, Japan embraced the handset. Apple opened several more retail stores there, including a second Tokyo location (in the city’s Shibuya region) and others in Aichi, Fukuoka, Hokkaido, Miyagi and Osaka. Perhaps the most unique thing about Japanese Apple stores is a “mystery bag” handed out on Japanese New Year to people who wait in line. Since its opening, Apple Store Ginza has been in the news a couple more times. In 2011, it was heavily featured on the news after Steve Jobs’ death, when it became a gathering point for Japanese Apple fans to pay tribute to Apple’s late co-founder and CEO. Have you been to Apple Store Ginza? Have you ever attended the opening of an Apple store? Leave your comments below.